I recently moved to London about a month ago and I’ve already picked up on certain things since staying here. So if you’re about to move here or you’re just coming to visit then here’s a couple of things people need to know to avoid the culture shock! There is traffic a lot of the time – I know there’s the typical rush hour times in the mornings and evenings but in London it seems to last longer so there’s bound to be a queue of traffic somewhere, so I think I’ll stick to the trains, they seem to be a bit quiet at times hehe! When it says mind the gap, YOU MIND THE GAP – Just as the train arrives at the next station there’ll be a notification saying “Mind the gap between the train and the platform edge” and they are saying that for a reason! You’re gonna get lost at least once – Even when living outside of London, I’d been to London quite often whether it’s for visiting family or to just sightseeing and shopping with friends so I’ve had my fair share of getting lost haha! But don’t worry too much, if you’re travelling on the underground there’s always maps and employees scattered around the place or if you’re in town you’re never too far from a street map or just go into a shop and ask for directions. It’s overcrowded. Nearly every where. – Yes London is known for being quite crowded that’s true, but you do get some places that aren’t SO crowded, I personally think that it’s the shopping central places that seem more busy so sometimes the sightseeing places like landmarks and museums are good places to go if you want it A BIT calmer! You going to get a stranger come up to you and ask for directions no matter what – There’s been a couple of times someone will ask something like “does this train go pass Clapham Junction” or “what platform do I need to be on for the tram” so beware of that, trust me you could be on the phone or listening to music with headphones on and they’ll still try haha! If you’re not sure where you going or where that person wants to go ask the station employee – there’s always one on each platform and they’re used to it so will know for sure! Not everyone in London is rude – I’ve heard a couple of times people saying that ‘Londoners’ are rude which I don’t think is true, it’s a busy and hectic area so some people are going to be a bit stressed or not in the mood but you get that in all places so if go in the right frame of mind then you’ll find the right people! You should keep your oyster card on you at all times – I don’t always need my oyster card because my university isn’t in the London area but I’ve realised that I should still keep it on me because there have times where I wanted to go somewhere which would be cheaper using my oyster card so now I just leave it in my bag just in case. FYI if you’re only staying for a bit you can get a vistor oyster card because London buses don’t take cash anymore! You’ll get nervous of cyclists – SOME cyclists can be a bit risky, maybe they skip a red light, they get stuck in front of loads of cars and buses or they don’t wear their helmets so it might make you feel a bit on edge but don’t worry there are cycle lanes and signs just for them to make it safer for them to cycle around London! The best things in life are free – They are some great places and things to do while in London that wont empty your bank account like museums, Queen Elizabeth Olympic Park stadium, bookshops and seeing all the landmarks so at least you know that not all things in London are expensive! 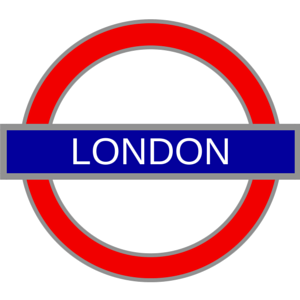 It’s a great place to be – London is a must be place to visit at least once because there’s so many amazing things you can do and see so if you’re thinking of a new place to go to then you’ve got to come here, sometimes seeing things online just isn’t enough! Living here isn’t too bad either, if you want to be in the centre of everything then this is definitely the place to be!